Sinrato Electronics Opencart Responsive theme is designed for sale any electronic and digital products online store. It is looking unique and clean in orange, white and black color combination. Every blocks, content, and details in layout are logically arranged in the right places. This theme is 100% Responsive ­ which means that no matter the device, your website will scale beautifully to suit each device each time. 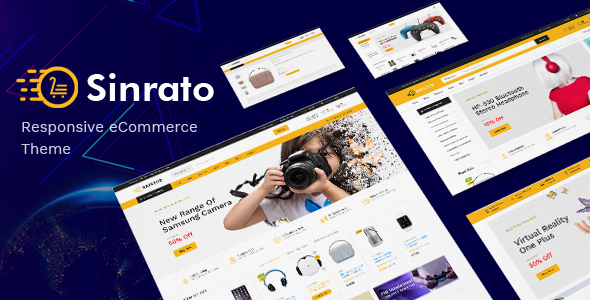 Sinrato is super flexible with 4 pre-made shop websites which contains many powerful features that you cannot miss out. Firstly, the theme is very well design with vertical category menu and horizontal top menu. Megamenu builder helps to create flexible megamenu for your eCommerce website navigation system. And the second feature to mention is Tab Products Slider that allows customers to shop by New, Featured, Best Seller, On Sale, Category or Top Brand as tab format. Next, hot deal product show the self timer for any special products. Beside, Featured Category module display specific categories and thumbnail and subcategories on homepage. Color Swatches for products help customers easily imagine the product in available colors, means that it gives more realistic idea of what a specific product will look like with color swatches. Specially, Drag and drop page builder help to built the best Opencart page easily. 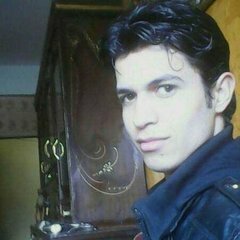 Final is Testimonial, Blog, Twitter module which help to improve the level of customer’s trust and increase your follower count instantly.